The direct electric drive delivers industry-leading duty cycles similar to the ES Series. Passive pothole protection eliminates all moving parts in the pothole protection system, reducing the need for repair or replacement. Battery storage area is easily accessible and has no drawer to pull out. 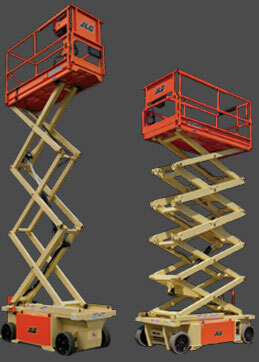 Both models have the ability to load without assistance and traverse grades of up to 25%. Whether you’re working indoors or out, the RS Series is rental-tough and built to take on anything you throw its way. Passive pothole protection reduces service calls and provides sufficient ground clearance to drive over scraps lying around the job site. Both models are self-loading for ease of transport and the direct electric drive provides longer runtime. See the RS Series in action. Watch the video. 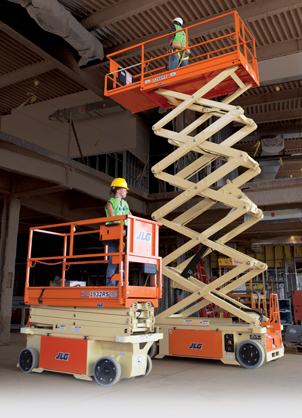 Contact your JLG Distributor or JLG Sales Representative for more information.